Andy knows his way around a screen pass. 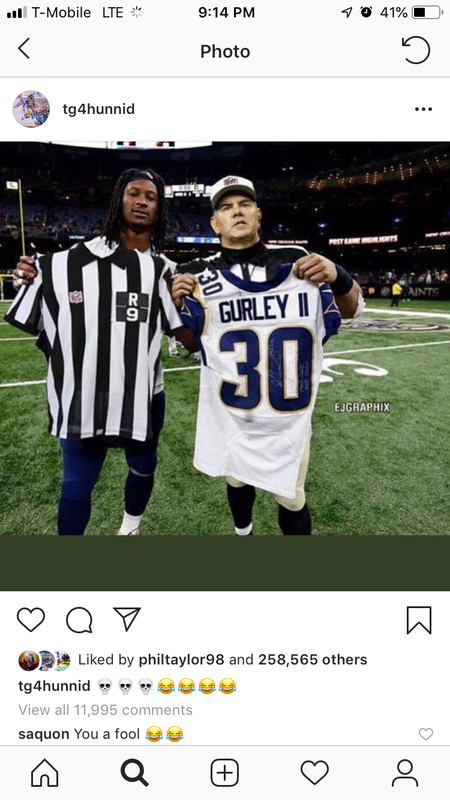 Let’s use this break after a TD to appreciate this post by Todd Gurley on his instagram. Caps had to rally from 3-2 down in the ECF before rallying and going on to win the Cup. This could be the Chiefs version of that, rallying from 14-0 down early. What??!?? Where was the contact to the head?? What the ****!!!!! Knew the refs would give the Pats a bail out at some point. Hope that's all they give them. All plays should be challengeable. NFL refs are terrible. They've been terrible all season but they're really showing their ineptitude in the biggest games. My wife is mocking the nfl for that roughing call. Peekaboo can be scary. He blocked his vision, maybe he’s scared of the dark. Close, but I say no catch. It was constantly moving and then hit the ground. Catch should stand. Not confirmed. Refball...and more refball... but it looks like a catch. How the hell is that a catch? Daily reminder that we have no idea what a catch is in the modern NFL (but follow the money to figure out the likely call). Had control when it hit the ground. Ball didn't move when it hit the ground. Was that grey area. Not confirmed a catch. Just no confirmation it was incomplete either.